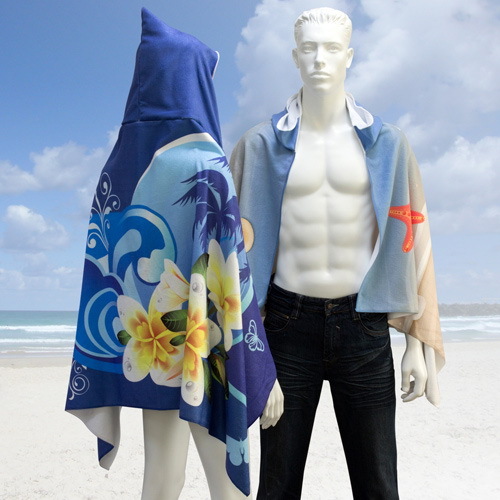 Hooded towel cleans, keeps body warm and protects from rain and sunshine. 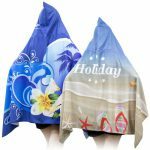 It is made of fine microfiber material which is super absorbent, can dry much quicker than regular cotton towels, weigh lightly, have a unique silky softness against your skin and, most significantly of all, show your colorful designs on full surface. Label with material and washing instruction stitched. Item with REACH compliance & SGS test report available upon request.